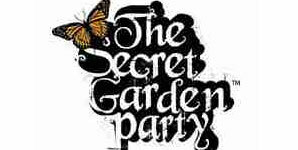 The Secret Garden Party is YOUR party. It is a moment in the year when you can connect to your creative powers, explore your wildest fantasies and meet thousands of people who all want to meet you. It is a magical gathering that exists for only four days - away from cities and schedules, brands and boundaries - founded on participation and with the potential to change your life. It is a festival of the arts. where everyone is the artist. 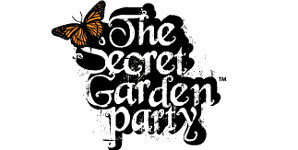 The Secret Garden is very pleased to announce Regina Spektor as a headlining artist this year with an exclusive UK festival appearance. It is a very welcome return for Regina, who first played the Garden back in 2005 when she was just starting out. Now lauded as one of the most talented songwriters of her generation there is precious little that the Russian born songstress hasn't achieved. Her music has graced television and film around the world and won her a multitude of fervent admirers including Barack and Michelle Obama for whom she performed at The White House in 2010. 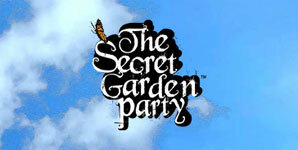 "I'm so excited to return this summer and play The Secret Garden Party! Whenever I'm gone for a while I really start to miss the UK! It's amazing to get to play this festival again. It is full of people who are really passionate about music. Thanks for having me!" 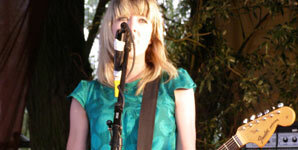 Also confirmed are Swedish indie-rockers the Shout Out Louds. Having just released their fourth album 'Optica' to much critical acclaim the Stockholm- based quintet are famed for their mesmerising live shows and multi-layered harmony. Spanning ten years their musical CV includes a globetrotting tour with The Strokes and a single release on a record made entirely of ice - you really can't get cooler than that. Watch out for American folk-starlet Lissie who has collaborated with the likes of Band Of Horses, Robbie Williams and Snow Patrol; synth-toting troubadour Youth Lagoon; UK buzz band Temples and Willy Mason to name a few.